Originally of Celtic descent, the Coolus C Helmet was adopted and evolved by the Roman legions and its auxiliaries into the helmet you see here, which is an effective and defensible piece that is easily identifiable thanks to its definite Roman style. The traditional coolus helm was fairly plain, featuring a rounded crown with few noticeable ridges or raised panels, as well as a typical crest-knob at the top of the helmet. This Roman variant takes that design and adds to it, featuring the same rounded crown, although this helmet lacks a pointed crest knob, along with a short ridge at the front to help deflect blows away from the wearers face. The helmet also features an attached and subtly styled cheek guards that protect the wearers features while leaving their eyes and nose completely uncovered. The back of this helmet is also slightly elongated, to provide additional protection to the wearers neck. 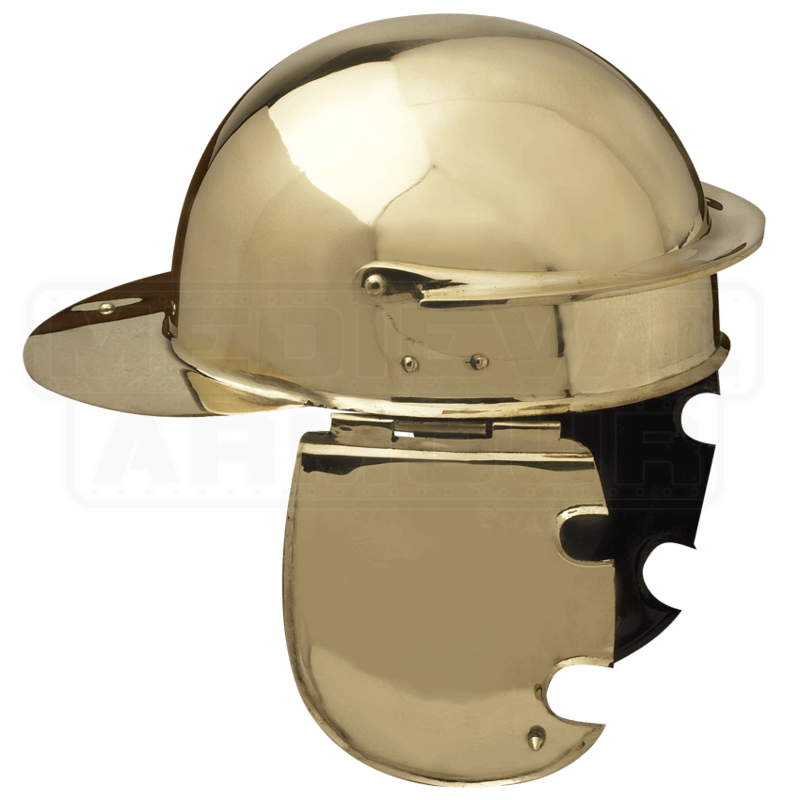 This helmet is made from quality brass metal, and features an attractive metallic brass finish. 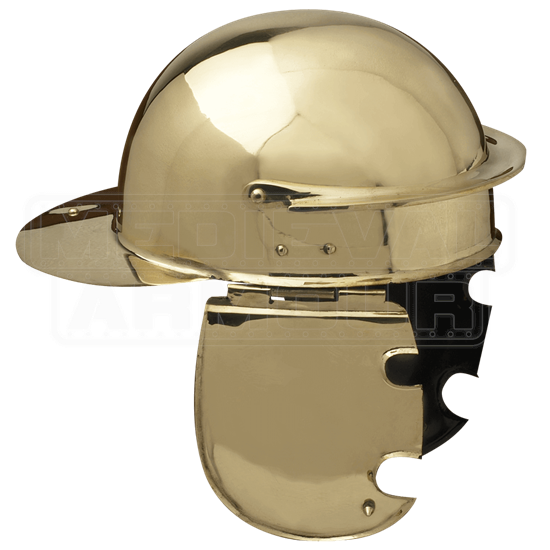 Standard troopers and elite centurions alike would have favored the protective strength of this Coolus C Helmet, making it a great choice for reenactors to wear as well as great piece for collectors to display.